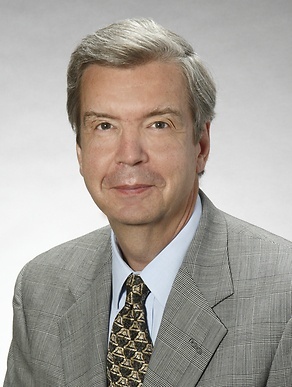 Lawrence M. Bass serves as the practice group leader in the firm's trusts and estates and employee benefit practice. Mr. Bass possesses more than 35 years of experience in counseling clients on a wide variety of matters including income, gift, estate and generation skipping transfer tax matters, material property rights, and business legal and tax matters. Mr. Bass focuses his practice primarily in the areas of estate planning and business planning for high net worth individuals including owners of closely-held businesses. He also counsels both individual and corporate fiduciaries regarding a variety of estate and trust administration matters. He has assisted entrepreneurs in the real estate, natural resources, entertainment, construction, machinery and equipment, restaurant, food service, communication, banking, automobile dealership, agricultural, medical, legal and accounting industries with their estate planning and business succession planning needs for more than 35 years. Obtained favorable private letter rulings from the National office of the IRS regarding special use valuation of agricultural real estate under Section 2032A of the Internal Revenue Code, deferral of estate taxes under Section 6166 of the Internal Revenue Code and th estate tax marital deduction under Section 2056 of the Internal Revenue Code. Assisted the owners of numerous closely-held businesses in a variety of industries successfully transfer or reorganize the business to implement exit strategies. Represented the owners of closely-held companies in the construction, manufacturing, real estate, automobile dealerships, agricultural, restaurant and retail industries (with the assistance of the firm's corporate and tax practice groups) in connection with the sale of the company or substantially all of its assets. Assisted the owners of a closely-held telecommunications company structure the sale of certain FCC licenses to a public company. Represented the executor of an estate in one of the early deathbed family limited partnership valuation disputes with the IRS. Represented the executor of an estate holding over 50 tracts of improved and unimproved real estate in multiple states which needed to be sold to pay debts and estate taxes. Represented the executors of a number of estates in connection with the sale of an interest in a closely-held business to pay debts and taxes. Represented widow of minority shareholder of closely-held business in successfully setting aside the company's determination of the purchase price under a buy-sell agreement. Represented a number of entrepreneurs in a variety of industries in negotiating premarital agreements prior to marriage. Represented various fiduciaries with regard to the disposition of retirement accounts with multiple beneficiaries. Handled a number of Internal Revenue Service estate tax examinations. "Preparation of the Estate Tax Return and Beyond"
"Succession Planning – Can You Afford Not To"
"What is it Worth – An Overview of Valuation Issues"
"Estate Planning for the 21st Century – Can You Afford Not To?" "The IRS Makes Its Move on Family Limited Partnerships"
"How You Won't Succeed in Business Without Really Planning"
"Estate Planning With an IRA – A No Brainer or a Brain Strainer?" "A Year of Change? Asset Protection After The Bankruptcy Abuse Prevention And Consumer Protection Act of 2005 and Estate Tax Reform"
"What Is It Worth? An Overview of Valuation Issues, Applicable Statutes of Limitation, and Accuracy Related Penalties Impacting Estate and Gift Returns"
"Selected Tax Elections of Interest to a Fiduciary"
"What You Need to Know About Your Business Partner"
"Income Taxation of Estates and Trusts"
"Hot Topics in Estate Planning"
"Succession Planning - Can You Afford Not To?" "The Estates Code and Estate and Trust Legislative"